Ranger weighs 100lb lean and measures 27″ at the withers. 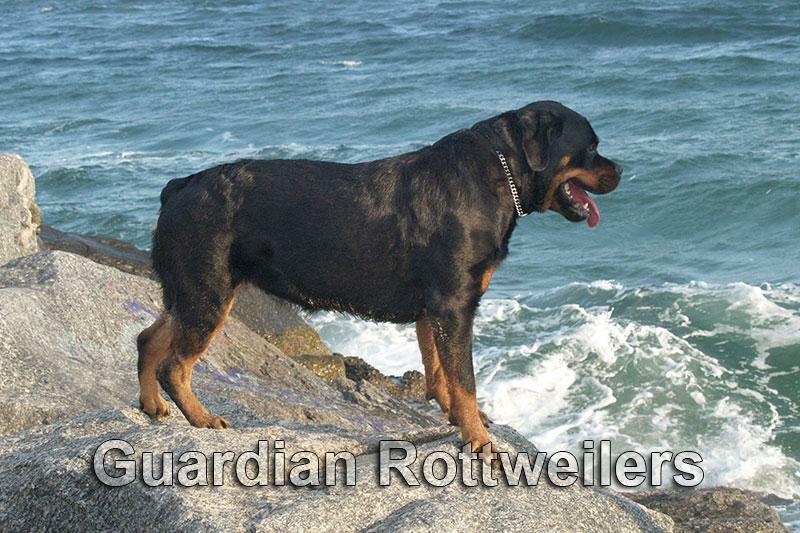 This makes him a large rottweiler male near the maximum height as per the German rottweiler standard. Ranger has medium bone and dark mahogany markings. Dentition, eye color and earset are all correct. Ranger is a stable and alert dog with very high prey drive, and good natural defense drive, which makes him an excellent candidate for protection or sport training. He is a very well behaved dog around the house, it’s amazing how such a high drive dog can be completely relax at home. In public he is friendly with people and other dogs. Ranger is obedience trained and reliably responds to the verbal commands heel, sit, down, stay. Because of his training and inherent stability he is very good in public, a dog you can take anywhere and not worry about him reacting aggressively at the wrong time. He’s tolerant of strangers and allows himself to be touched by children and adults. In this video we take Ranger for a walk along Fort Lauderdale beach, and meet random people. While this is completely normal to expect from a pet dog, it’s very hard to find this kind of stability in a dog with as strong potential for protection work as Ranger has. 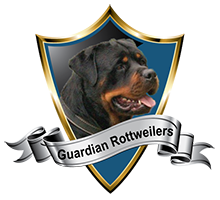 Will A Rottweiler Protect My Home And Family?